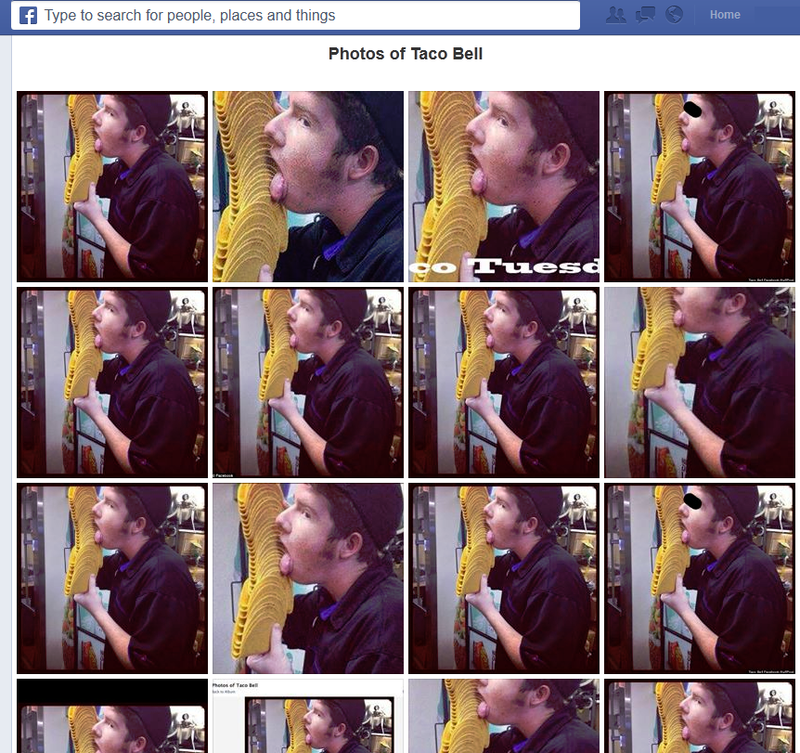 Taco Bell is facing yet another PR nightmare Monday after an employee was pictured brazenly licking a stack of taco shells and then uploaded the photo to Reddit and facebook, where it was duplicated and shared endlessly online. The story hit "old media" throughout the world (here and here and here) almost immediately and spread like a Western wildfire. The company is just coming off a scandal about its meat's composition, and fast food giant Burger King had a similar incident last year with the employee standing in two pans of lettuce, which was exposed on 4chan. The dangers of social media are on full display here, and it's another lesson teaching us that mishandling it can get you burned. 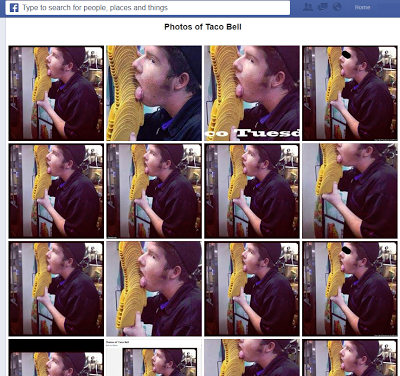 Usually a great tool used by customers to show off how they enjoy a company's products, dozens of the "licking" photo were being "tagged" by facebook users with Taco Bell's name, making the photo instantly and repeatedly show up under "Photos of Taco Bell" on the company's official facebook page. The social media meltdown was being handled gingerly and cautiously by Taco Bell PR people who maintain the company's facebook page. Typical responses on Monday were: "Hi Jen - We have spoken with the restaurant and confirmed that the shells were never served to customers. This is completely unacceptable and we are taking the appropriate action against everyone involved." and "Hi Kyle - We have 100% confirmed that the taco shells were never served to customers. Plain and simple, this is unacceptable and we are taking the appropriate action against everyone involved." Both of these are good statements, the only kind a company can really make in such a crisis. Clearly, there are "haters" online urging this crisis on - as they do with every crisis - posting the image repeatedly and saying they will NEVER eat at ANY Taco Bell again. That seems like overkill and piling on, but it's clear that this has an emotional kick to it that will put many people off Taco Bell and change their image of their product. The fact is, franchises desperate to cut labor costs helped bring this on themselves. Companies seem far less likely to even bother to train lower-wage employees in basic ethics, due in part to high turnover. The same seems true of food-handling procedures, which is even more frightening. THIS is the result of that lack of training. PR can never be used to cover up or "make the story go away" without something positive coming out of it. Customers are wise to a whitewash, and are incredibly savvy. Any PR response MUST include corrective action not just with this franchise, but with the entire company. And it should be a wake-up call for other fast food outlets, too, that a crash course in ethical behavior must be taught to each and every employee, and that enjoying oneself on the job is one thing, but crossing the line with unsafe food handling can never be tolerated. If I was the CEO of Taco Bell's parent company, I'd demand that all employees be huddled into a meeting THIS WEEK in each restaurant that would start a comprehensive review of ethics and food handling, and begin to stress the seriousness of the situation to each employee. Bad publicity hurts where it counts: In profits. A dip in sales from weeks of bad press will mean a cut in hours at every single restaurant around the country. Actions have immediate consequences. With a renewed commitment to decent food handling practices, the company may actually do a great service to the industry. A "teaching moment," if you will. It's either that, or this becomes a story that tears down years of good image-building efforts with weeks of bad press. Your call, Taco Bell.